A pole reversal is always preceded by a weakened magnetic field, meaning more cosmic radiation will hit Earth’s surface. Credit: NASA. Throughout its history, Earth’s magnetic poles have flipped regularly. The last time this occurred was around 786,000 years ago, and judging from the paleomagnetic data which researchers studied, we’re in for a new pole reversal soon. According to scientists operating the European Space Agency’s (ESA) Swarm trio, clusters of molten iron and nickel are ‘on the run’, draining the dipole. There’s a revolution shaping up, and if precautions aren’t taken, the consequences could be dire for modern human civilization. The Earth’s magnetic field looks like that which would be produced by placing a bar magnet at the center of the Earth, with the North Magnetic Pole corresponding to the South Geographic Pole and vice versa. The Earth’s magnetic dipole originates in swirling currents of molten iron deep in the Earth’s core, and extends more than 10 Earth radii, or 63.7 million meters out into space on the side facing the Sun, and all the way to the Moon’s orbit, at 384.4 million meters on the opposite side. 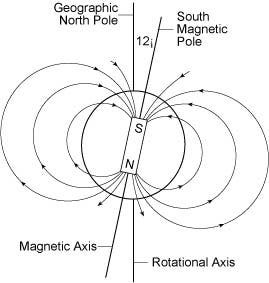 Magnetic field lines loop out of the South Geographic Pole and into the North Geographic Pole. 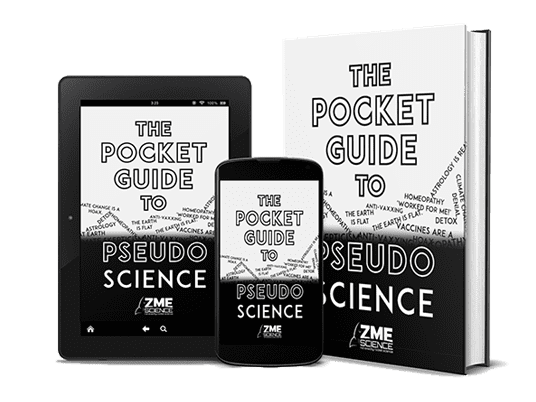 There are currents that guide the molten iron inside the planet’s core and, consequently, the magnetic poles can move or shift over time, losing or gaining strength. Scientists not only know that the magnetic field’s intensity changes over time, but they also know when dramatic shifts in intensity or pole reversal occurred. That’s because such events are recorded in the “frozen” ferromagnetic (or, more accurately, ferrimagnetic) minerals of consolidated sedimentary deposits or cooled volcanic flows on land. It’s from these records that geologists learned that the last magnetic reversal took place 786,000 years ago. It happened very quickly, too, having occurred in less than 100 years. In 2014, Sprain and colleagues performed a study on the magnetic field alignment in layers of ancient lake sediments that are now exposed in the Sulmona basin of the Apennine Mountains east of Rome, Italy. This study allowed them to determine the age of the last reversal as well as other novel insights, like how Earth’s magnetic field can sometimes weaken only to snap back into place (the last time this happened was 40,000 years ago). Right now, Earth’s magnetic field is decreasing 10 times faster than normal, which is why many scientists believe this century could see a pole reversal. The latest satellite imagery data from ESA suggests the north magnetic pole is especially turbulent and unpredictable. In the last 50 years, the north magnetic pole has already moved considerably — so much so that satellites orbiting right above the South Atlantic, which is near the geographic South Pole, are now bombarded by charged particles from the sun and interstellar space. 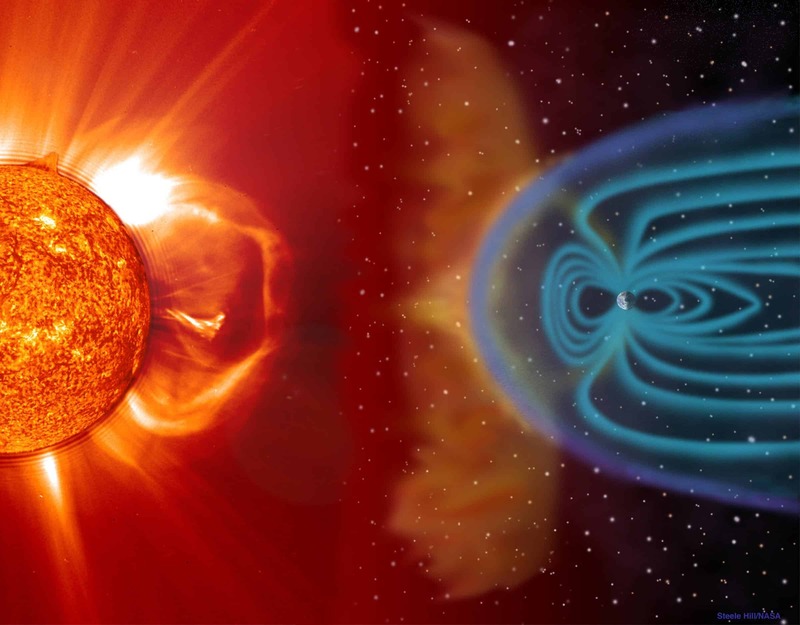 The planet’s magnetic field acts like a shield against this sort of radiation but since pole reversal implies a temporary weakening of the field first, radiation exposure is bound to increase. So what does this all mean for us? Not anything good, unfortunately. Because the field’s intensity is bound to decrease considerably, much more radiation from space will be able to reach the planet’s surface than it does today. However, life on Earth shouldn’t be affected too much by this directly — humanity has lived through several pole reversals and we’re still here. Likewise, there were no mass extinction events coinciding with a pole reversal that scientists could find. However, much has changed since the last time the planet’s magnetic field weakened by this much. For one, much of our existence is predicated on not only electrical power but also satellite-based communications, which nowadays are synced so much with the power grid that the two are basically inseparable. If our fleet of satellites was to suddenly come offline, much the world could suffer blackouts which could last for years. In the ensuing chaos, it’s anyone guess what would happen next. Modern civilization is becoming increasingly reliant on technology. Here at ZME Science, you frequently read about artificial intelligence breakthroughs. Such stories will only become mundane but as we increasingly leave duties for AIs to handle, vulnerabilities in the face of power and comm-link loss will only become worse.